Our most popular waterproof hunting and outdoor jacket has had rave reviews! The new Blast Tusker Extreme steps up performance to another level with our revolutionary new GX3 fabric. This fully stormproof 3 layer fabric beads water off even in the heaviest downpour and remains light in all weather. The reinforced rip stop outer is super strong and features 2 big waterproof zippered top pockets perfect for a radio and GPS. The cordura strengthened shoulders provide added protection for carrying out the days catch. The design is based on the old oilskin vests and is cut short at the front for free movement. The Tusker Extreme offers a full hood - long tail and practical 1/2 sleeve design. Don’t be deceived by the length, as the Fully waterproof and windproof fabric offers great warmth and weather protection. Pockets top and bottom give you plenty of storage with the chest pocket designed to fit a GPS - be it an Alpha or Astro and a radio on the other side. Constructed from our GX3© Waterproof Fabric. Completely windproof, waterproof and breathable. • Super tough and light to wear. • Long tail for carrying out animals and added protection. This fabric is designed for use outdoors and is coated with a DWR (Durable Water Repellent) at the final stage of manufacturing. 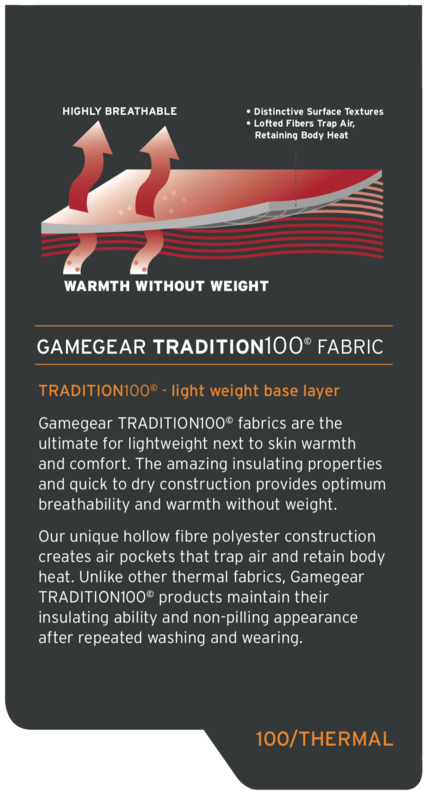 A DWR treatment is used to keep the breathable pore based fabric of Game Gear GX3© fabric free from beads of moisture and rain, allowing them to fall away from the outside fabric surface. Sealed seams are used to offer complete weatherproofing. A special tape system is used to seal off the holes created when the garment has been stitched during manufacturing. Even a great jacket offering this level of performance has a downside or trade-off. This fabric can be noisy in thick scrub so if you are a deerstalking ninja then stick with our tried and tested quiet Tusker V2. Really impressed with this jacket. Received order within a few days.